2/3/4 BHK | 24.91 Lac | Noida Ext. Supertech Group has launched its most applauded scheme "Supertech Housing Scheme ". 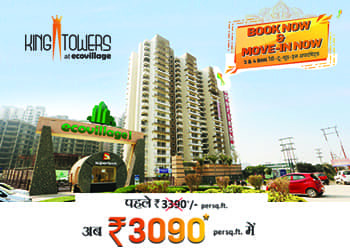 2/3 BHK | 34.34/lac | Noida Ext. 2 BHK | 29.44/lac | Noida Ext. Apex The Kremlin is NCR’s one the versatile green housing project in the prime location of Indirapuram.. 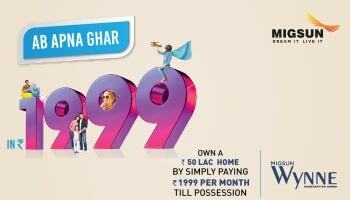 Welcome to the quite fresh affordable luxury of residential project “Migsun Vilaasa” at Eta-2..
2 BHK | 34 Lac | Noida Ext. Supertech Eco Village-I is blessed with world class eco residential project named Garden Homes. © 2014 - 2019 Propemperos. All Rights Reserved.